The most critical facet of Baking and Pastry-making is ensuring that every element is in harmony with the other. Through the EHH – Professional Certificate in Art of Baking and Pastry classes Dubai, you will learn how to master baking and make beautiful creations of your own. There are several nuances in baking and pastry making. Through this course, you will learn about numerous professional techniques applied in the industry, the tools required, ingredients used, the stages of making bread, leavening agents, sanitation practices and more. The EHH – Professional Certificate in Art of Baking and Pastry will cover all of this in a practical manner, giving you real-world baking experiences to further your career. You will be qualified to start your profession in the bakery and pastry industry, and master every procedure taught through hands-on guidance. 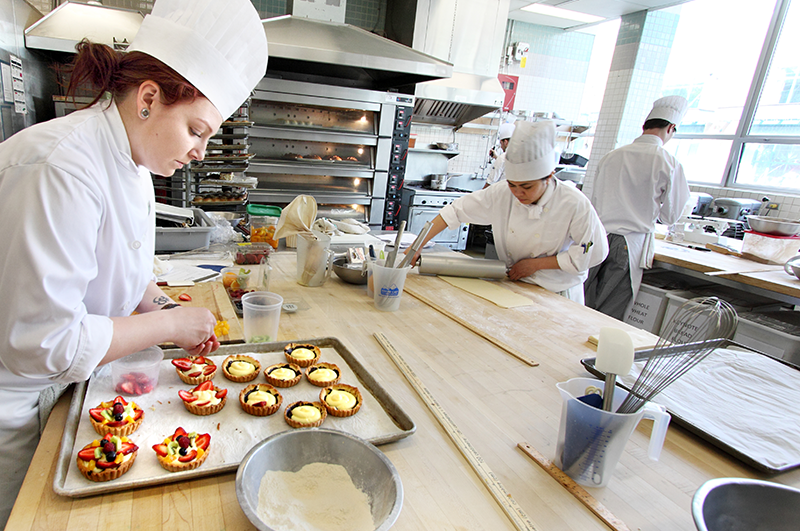 Successful Candidates will be able to start a career in a bakery and pastry industry.